Edamame harvested at the peak of ripening right before it reaches the hardening time is protein-packed and rich in vitamins and minerals. 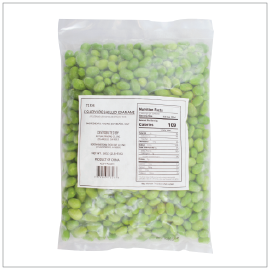 Shelled edamame is versatile ingredient and works in a variety of dishes. This product is slightly salted. Simply thaw and use.